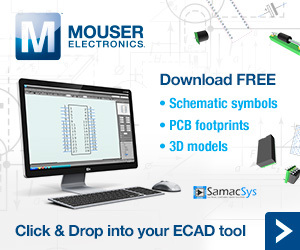 This section is filled with important and helpful information on everything you can do with the Mouser’s project and simulation software MultiSIM BLUE. Since many of our reader knows the basics for the use of the MultiSIM, there are many small details hidden in the tools boxes, that can scape of their observation and even they don’t know what they are and how to use. This secion will explore these hidden topics and also introduce to the reader many ideas about the use of uncommon resources you can find in the software. The source is my experience and even the experience of our readers. I have been collecting these clever hints, tips for years. Most have come from my experience with all early versions of the MultiSIM since I have written many books and articles about this software. But you also can contribute with this section sending you hind or tip to us. Certainly they will useful for all that use the MultiSIM BLUE. Share your experience with us.